Chinese herbal medicine FAQ answers common questions and provides interesting facts on holistic medicine. Chinese herbal medicine is based on a complex system of diagnoses along with the knowledge of the plants’ or animals’ energetic and healing properties. Traditional Chinese medicine will often incorporates new products into a client’s treatment plans based on an in-depth understanding of the new product and its benefits and healing properties. What is the difference in Chinese herbal medicine and Western herbalism? 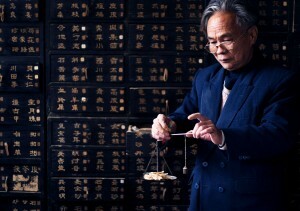 Chinese herbal medicine uses the same five-element and meridian system of diagnosis that acupuncturists use to identify patterns of imbalance. Chinese herbal medicine treats a person’s individual pattern type, focusing on the root cause of compromised health thereby healing the person while simultaneously alleviating symptoms. Western herbalism treats individual symptoms only. Chinese herbs are generally harvested in regions of China but some are harvested all over the world. Western herbs are generally harvested in North America and South America. Some people will experience mild discomfort during the initial stages of healing. Since the goal is to have the body heal itself and not mask the symptoms, mild aches and changes in digestive habits may occur. Detoxification due to changes in the diet and nutritional supplements may also occur. Signs the body is detoxifying may include mild nausea, acne, headaches, body aches, and fatigue. These symptoms should recede after a couple of days to a week. For long-term use, there are little to no side effects when the formula has been properly prepared. When herbs are prescribed according to a person’s TCM pattern type, there should be no negative side effects, just beneficial healing results. If you experience any non-therapeutic side effects, tell your practitioner so the formula can be modified. Are the formulas made from plant sources only? The majority of Chinese herbal formulas are from different parts of the plant. Chinese herbs are often made from flowers, leaves, twigs, stems, roots, rhizomes, tubers, and bark. However, some animal and mineral sources are also used. Please let us know if you are vegan, opposed to animal products or have food-based allergies. Schedule an Appointment Today! Click here or call (608) 441-9355 to schedule your next appointment today!